I felt acutely nervous as the procession approached. 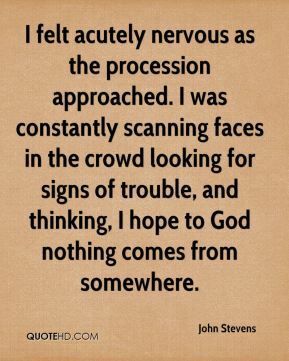 I was constantly scanning faces in the crowd looking for signs of trouble, and thinking, I hope to God nothing comes from somewhere. We couldn't have done it without the crowd. 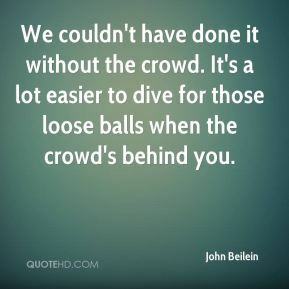 It's a lot easier to dive for those loose balls when the crowd's behind you. It just shows that the crowd and the fans appreciate the way I play, ... To go out and play as hard as I do and just get the cold shoulder from people is tough. So to hear from them, just to know they appreciate my love for the game and how I go about playing, that means a lot. The crowd support was excellent. 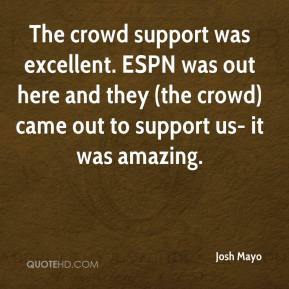 ESPN was out here and they (the crowd) came out to support us- it was amazing. It was a good performance for us. The crowd was kind of rowdy, so it was nice to pull out a win at their place. This man was trying to drive through the crowd, but they refused him passage. 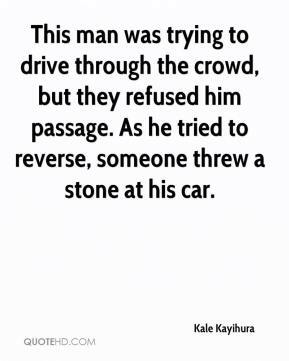 As he tried to reverse, someone threw a stone at his car. It was something different today. 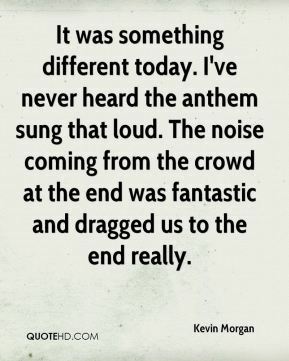 I've never heard the anthem sung that loud. The noise coming from the crowd at the end was fantastic and dragged us to the end really. 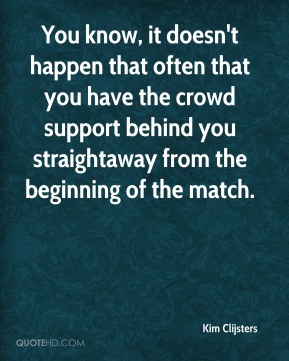 You know, it doesn't happen that often that you have the crowd support behind you straightaway from the beginning of the match. 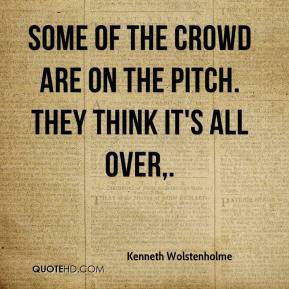 Some of the crowd are on the pitch. They think it's all over. He's better nervous than comfortable. 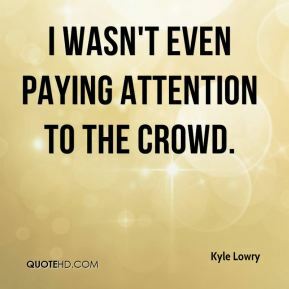 He seems to thrive on the crowd and the noise. 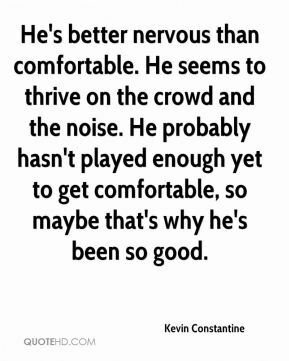 He probably hasn't played enough yet to get comfortable, so maybe that's why he's been so good. 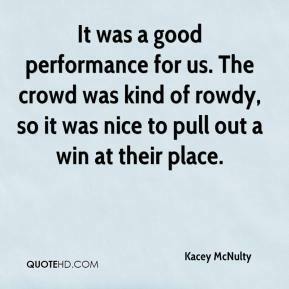 When I went out there and the crowd went wild, that was a good thing. 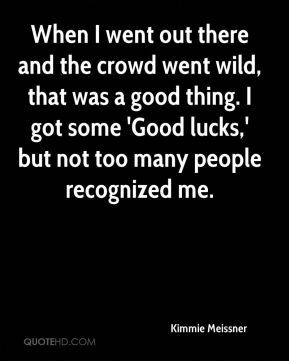 I got some 'Good lucks,' but not too many people recognized me. I wasn't even paying attention to the crowd. I've got a few tricks up my sleeve. Hopefully, I'll be the crowd favorite since I might be the shortest one in it. I'm probably not ever going to get another opportunity like this, so I'm going to take advantage of it. I've never played in front of this many people before. 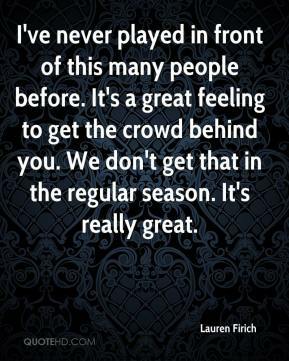 It's a great feeling to get the crowd behind you. We don't get that in the regular season. It's really great. It was loud on the field. 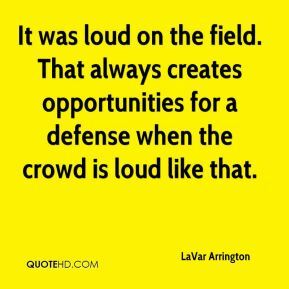 That always creates opportunities for a defense when the crowd is loud like that. 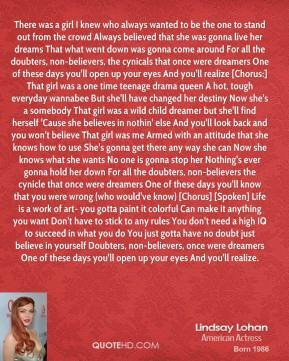 There was a girl I knew who always wanted to be the one to stand out from the crowd Always believed that she was gonna live her dreams That what went down was gonna come around For all the doubters, non-believers, the cynicals that once were dreamers One of these days you'll open up your eyes And you'll realize [Chorus:] That girl was a one time teenage drama queen A hot, tough everyday wannabee But she'll have changed her destiny Now she's a somebody That girl was a wild child dreamer but she'll find herself 'Cause she believes in nothin' else And you'll look back and you won't believe That girl was me Armed with an attitude that she knows how to use She's gonna get there any way she can Now she knows what she wants No one is gonna stop her Nothing's ever gonna hold her down For all the doubters, non-believers the cynicle that once were dreamers One of these days you'll know that you were wrong (who would've know) [Chorus] [Spoken] Life is a work of art- you gotta paint it colorful Can make it anything you want Don't have to stick to any rules You don't need a high IQ to succeed in what you do You just gotta have no doubt just believe in yourself Doubters, non-believers, once were dreamers One of these days you'll open up your eyes And you'll realize. 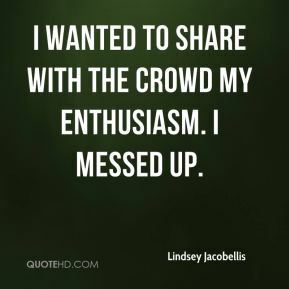 I wanted to share with the crowd my enthusiasm. I messed up. The crowd is a lot closer. 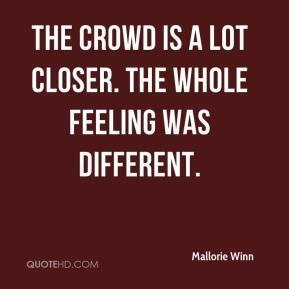 The whole feeling was different. 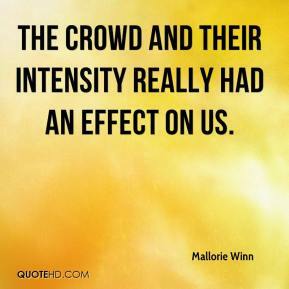 The crowd and their intensity really had an effect on us. 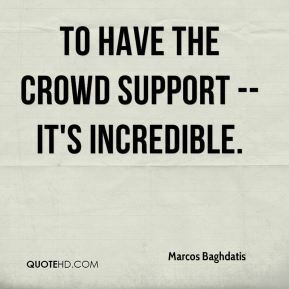 To have the crowd support -- it's incredible. It was a little bit of a roller coaster ride. They started to hit their shots and got the crowd back into it. 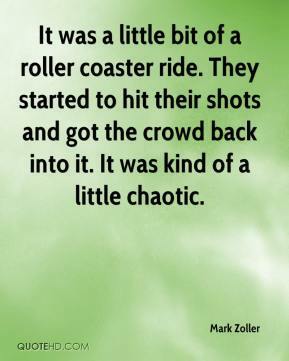 It was kind of a little chaotic. 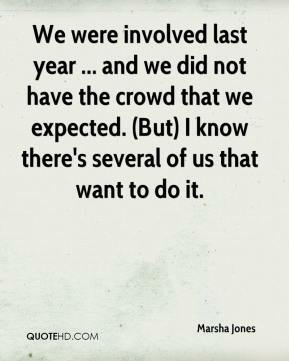 We were involved last year ... and we did not have the crowd that we expected. 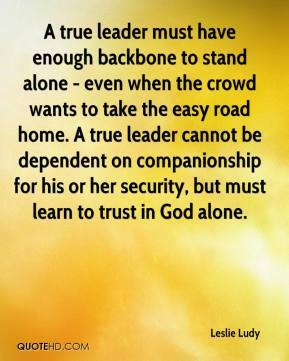 (But) I know there's several of us that want to do it. We just ignored the crowd and played hard. 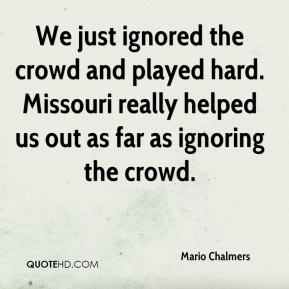 Missouri really helped us out as far as ignoring the crowd. You could just feel the electricity in the crowd there. Even though that one doesn't go in. I think it gave us a big lift. 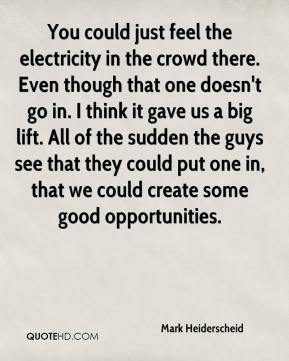 All of the sudden the guys see that they could put one in, that we could create some good opportunities.